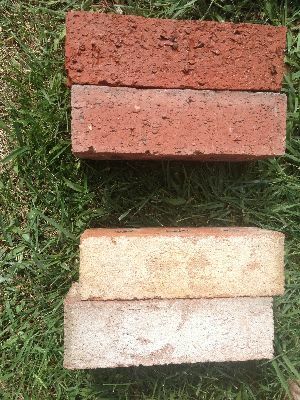 We can easily match all common brick types. But the process is not always straightforward. Occasionally bricks on old homes, and sometimes on brand new ones, are unavailable in small quantities or even not available at all. In these cases, we have to look for the best possible match. 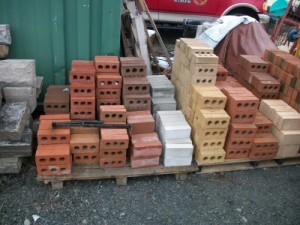 Size: Bricks come in a variety of sizes. Masonry is so precise that bricks which as 1/8 of an inch bigger or smaller can create huge problems with joint thicknesses and spacing. Usually joints will be too big or too small, and the bonds will be improper or simply won’t work. Colour: Brick colour is the most noticeable for the average person. A brown brick in a red wall looks worse and can be seen at 100 feet away. A red flat brick in a red textured brick wall is usually camouflaged until you are close and even then the human eye has difficulty distinguishing the difference of texture. Texture: Bricks have various textures (lines, bark, divots, sand finish, etc.) and matching bricks should have a similar exterior finish. Bricks are generally broken down into sub-categories like flat, bark, matte and the closest texture is chosen for each job. All measurements indicate the horizontal face of the brick, the longest aspect. 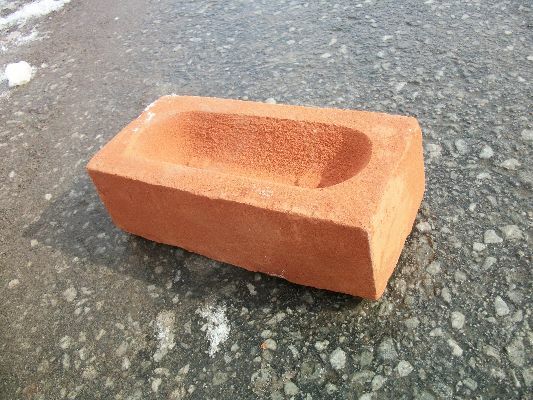 Typically the older bricks are more commonly available because there are fewer varieties and they are widely used. Manufacturers are making new kinds of brick every year, so it’s getting harder to find suitable replacement bricks for buildings less than 30 years old. There are so many new varieties of bricks being pumped out than the suppliers are having difficulty stocking all the possible variations. In certain cases we can moderately change a brick colour to get a closer match. We usually only do this for bricks that are in a prominent location, or on bricks where the match is perfect except for colour. The brick on the top has been tinted a darker red to match the existing bricks more closely. The brick on the top of the bottom stack has been tinted yellow to match the wall better.